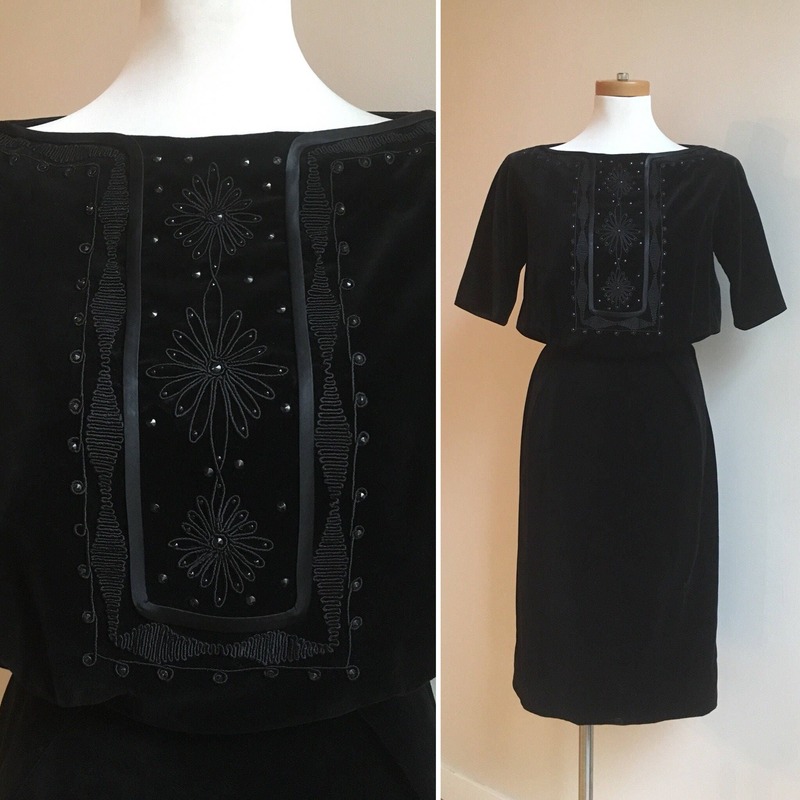 Vintage 1950s women’s black velvet fitted cocktail party wiggle dress with embroidered and beaded bodice. 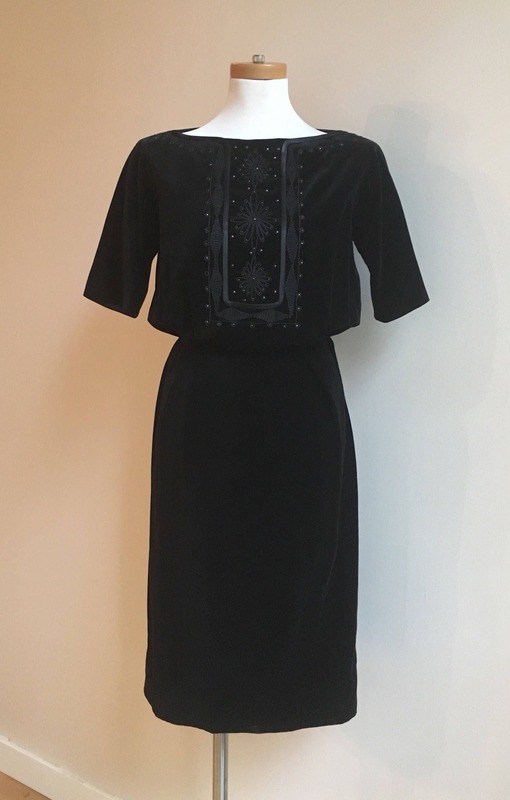 Great vintage condition; very little wear from age. 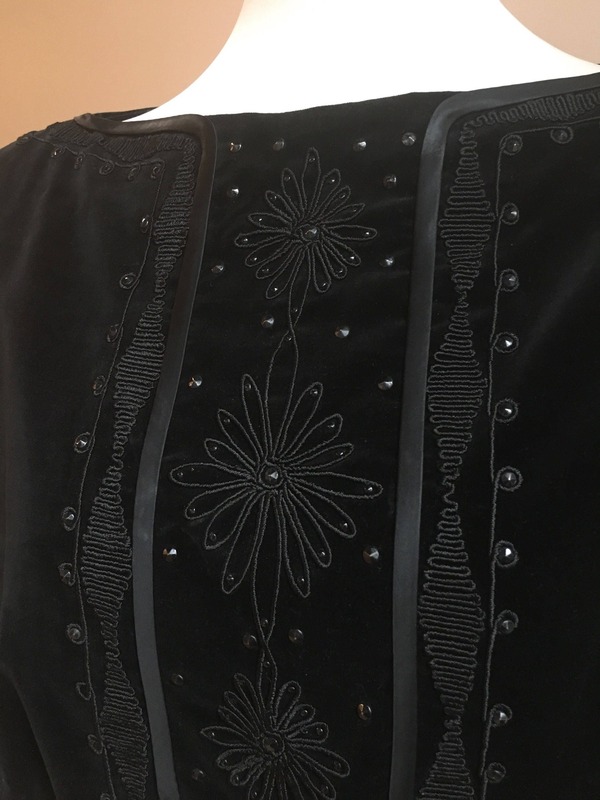 Two areas of repair (both very cleanly done): one small vertical area on front side of skirt is stitched and another vertical repair can be found on the back of skirt near the hem (both pictured). 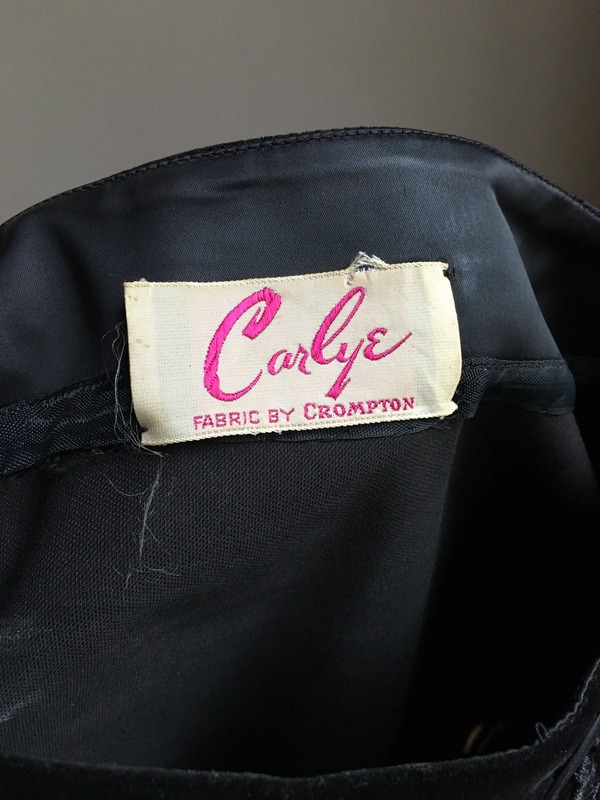 No other flaws to note; no other rips, tears, markings, stains or discoloration on velvet or embroidery. 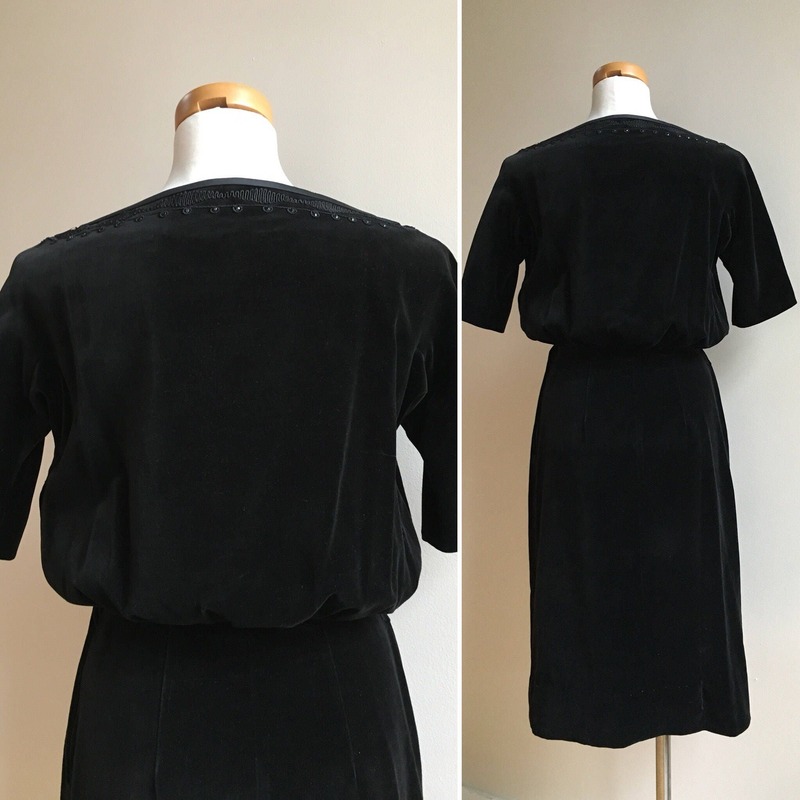 Velvet is soft and not stiff. 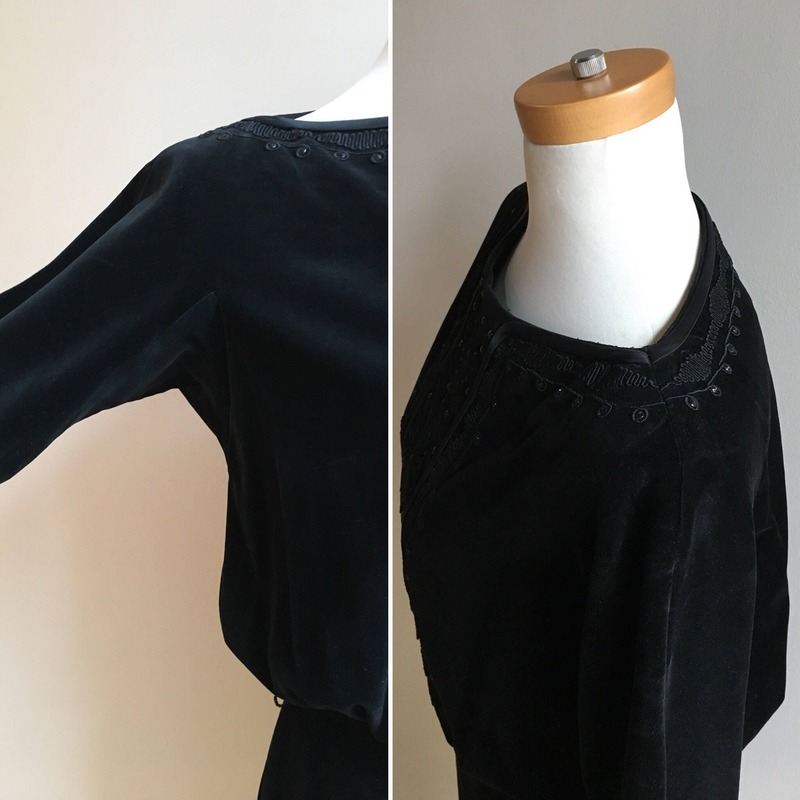 Boat neck neckline has black matte satin piping (pictured). 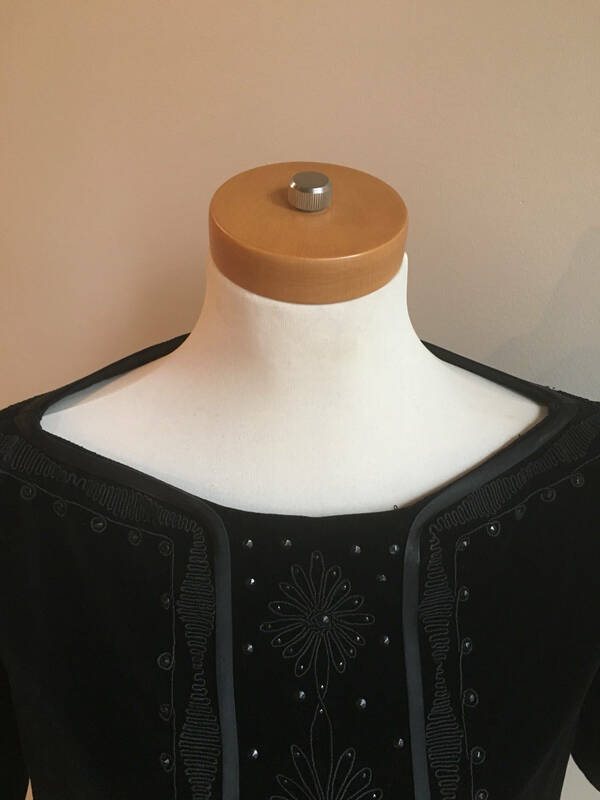 Embroidered bodice is stunning; stitching is clean and crisp with no tugs or snags. 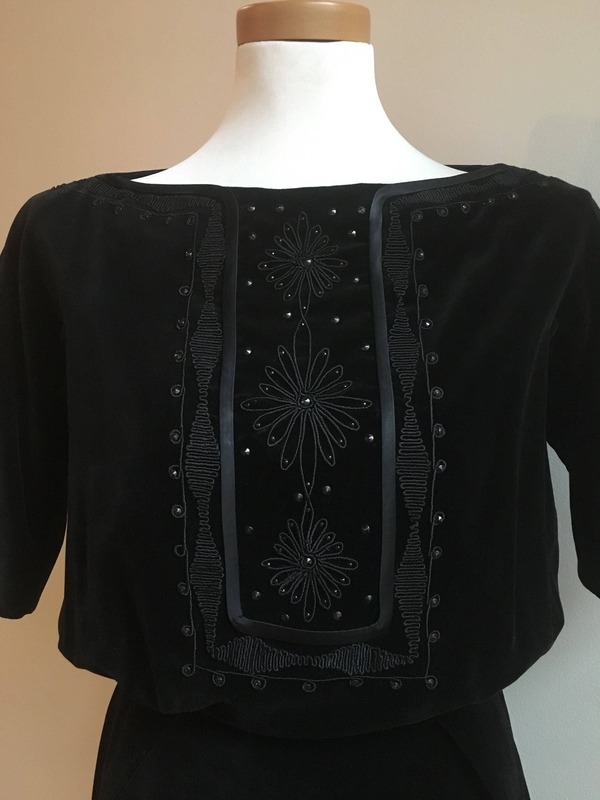 Small black beading / buttons throughout. 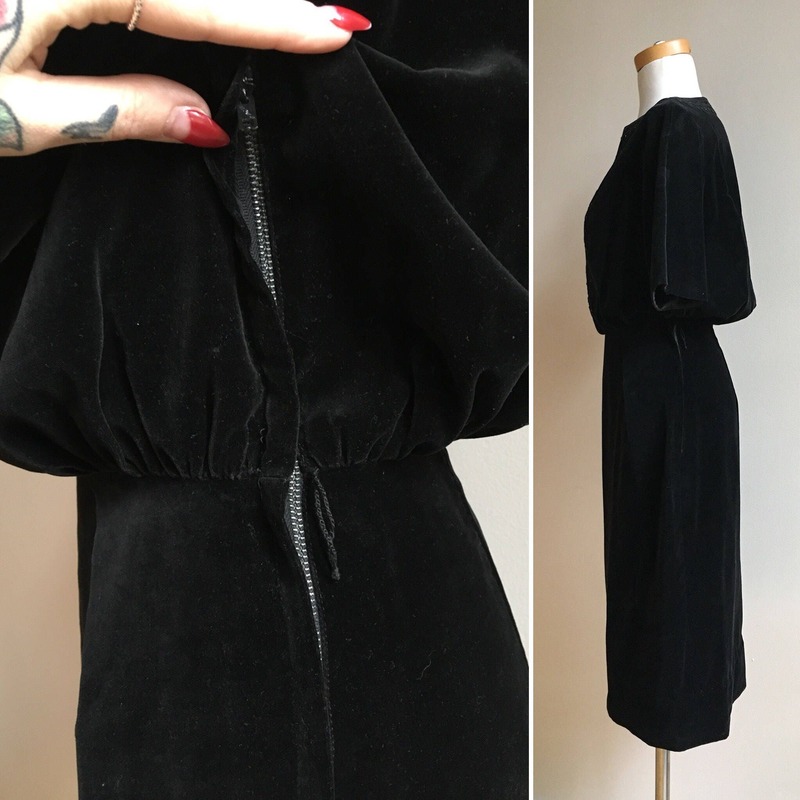 Gathered at the waist; can be worn with a short torso (like on the mannequin pictured) or a longer torso. Belt loops present and intact; no belt included. 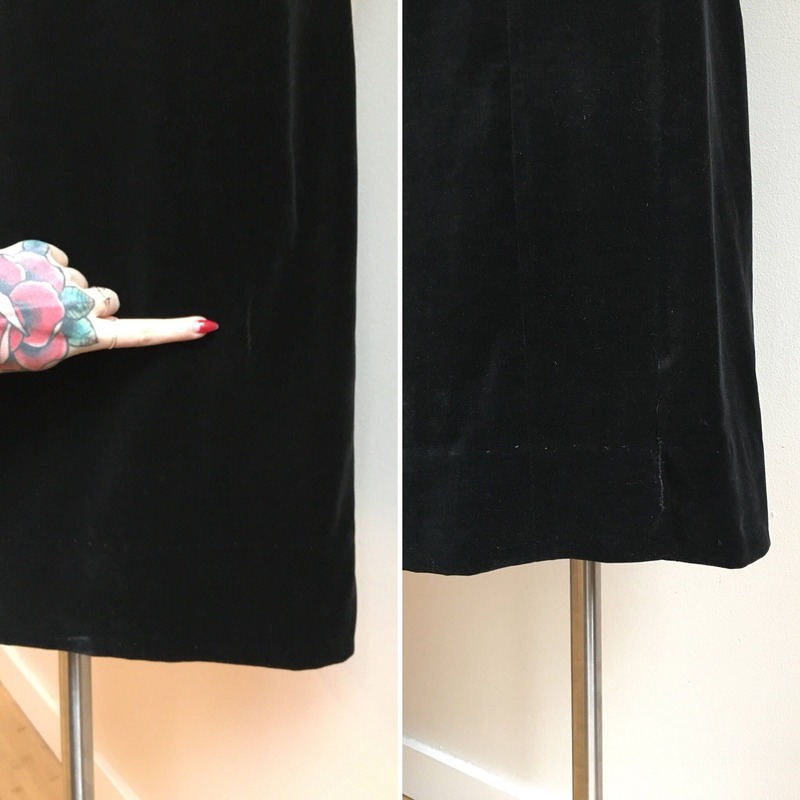 Fitted pencil skirt makes up the bottom half of the dress. Freshly dry-cleaned. Dry-cleaning recommended for future care.